List of conditions required to unlock all the content in the game. There are several unlockables in this game ranging from galleries, codex, jukebox, and hidden commanders. I will list out all the unlockables in this guide and their unlock conditions. So obviously spoiler alert. There are 3 known commanders that can be unlocked. Once unlocked, they are playable in arcade and multiplayer. The phantom Princess of the fallen nation of Cacophony. You must get the Orb in order, so you can’t get the Orb from Act 3, Side 1 until Act 2, Side 1 is done. Arcade mode is 5 consecutive skirmishes with the selected commander trying to obtain/destroy requiem. It is unlocked by completion of campaign Act 1, Mission 4. 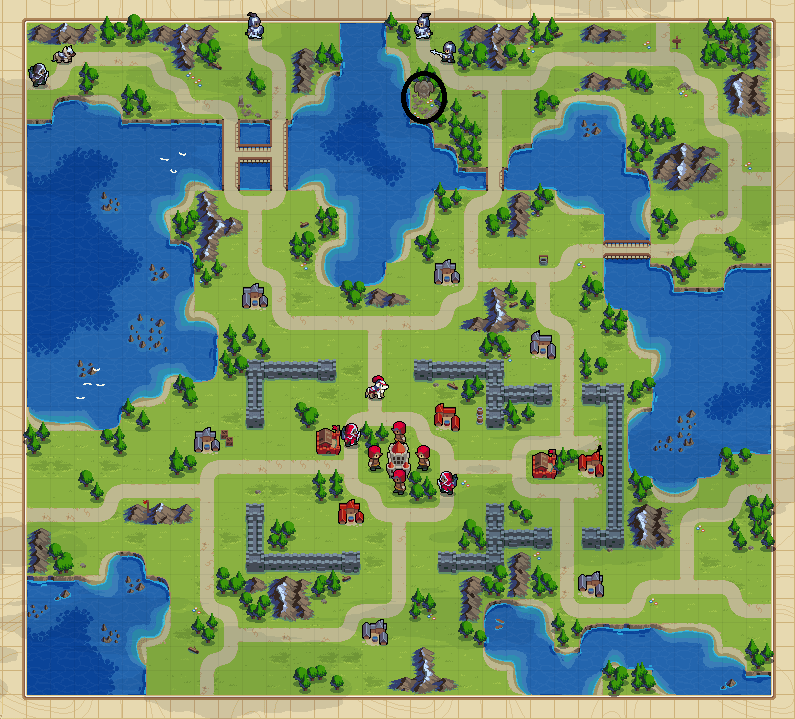 However, only Mercia is playable initially, you must complete the remaining campaigns to unlock rest of the commanders. There are 4 unlockable sections in codex, character lore, character info (age, height, favorite thing and least favorite thing), lore, and fish. Character lore are unlocked through campaign. Lores are Unlocked throughout the campaign missions except Requiem, which is through Arcade. There are 18 fish codex in the game. They are unlocked by using the “Gone Fishing” groove from Mercival on a water tile (river, ocean, reef, or shore). The 18th fish is the star fish, and it unlocks the final star required for the 200 stars achievement. Because fishing is random, you get repeats, and his groove charges slowly, I made 3 maps to help you catch all the fish faster. All galleries images are unlocked by stars. The last image requires 200 stars, which basically means you need all the stars possible to get all the images from the gallery. The only Jukebox entries that can be unlocked are character themes. They are unlocked once you complete their corresponding commander’s Arcade mode. So for example, to unlock the theme for Mercia in the Jukebox, you need to finish Mercia in the Arcade. 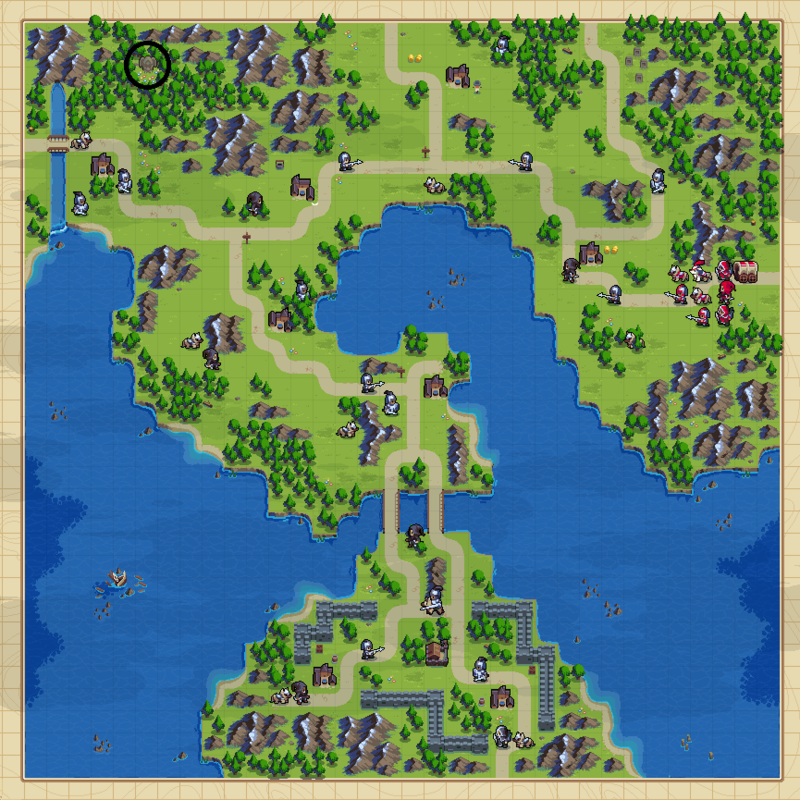 Map EditorOnce you unlock Elodie, Dark Mercia, and Mercival, you can also use them in the map editor. Basic units form the cannon fodder and front line of your army. They are cheap, mass produced, and cost effective. When making use of basic units, your mindset should be to try and trade them off for above their cost. If a swordsman hits an archer, it will pay for itself on the spot, for example. Likewise, they can pay for themselves defensively by preventing an attack on a more valuable unit. A good mindset to have for basic units is to subtract the cost of the basic unit who took the damage from the cost of the damage you would have taken if it did not block an attack going at a more expensive unit. If this value is positive, it did its job. All basic units are very gold efficient, able to do more than their price, or close to it in damage to most core, tech, and niche units. They are balanced around being very build inefficient, being very easy to kill off in bulk by the more expensive units. Swordsmen, as the cheapest unit in the game, are very cost effective against just about everything. Their horrible build efficiency is a major issue (They die in droves to accomplish anything). Still, their sheer gold-effectiveness means they are not checked or countered by anything above their cost. Their main fear is being a charging station for commanders grooves, and this should be considered when using them. While they are build inefficient vs golems, they do trade cost effectively into them, and can swarm out a golem if needed. Countered By: Trebuchet. Ballista. Commanders. Spearmen can crush through a sword line if left to their own devices, and can threaten knights into not engaging. Still, they fear their formation being broken apart, as without their crit, they are not much danger to most units, doing only marginally more damage than a sword for 50% more cost. Their low mobility also means they fear siege units, which can easily rain down fire upon them. Archers have to fight too close to be a hard counter, but a single trebuchet can invalidate an entire spear line through the denial of crits. Like swords, they fear charging up the enemy commander, and the presence of a commander should be considered when deploying them. Mages can break their formation easy, but are still glassy, and thus the check is mutual. Harpies can run them off the board, but aren’t particularly cost effective offensively. Still, they can mess up the formation with bodyblocks and the spears cannot do anything about it. Checks: Ballista. Trebuchet. Archer. Mage. Mutual Checks. Swordsman. Spearman. Commander. Aquanaut. Dogs are glass cannon offense and flankers. They are less gold-efficient than the other basic units, and cannot capture, but they are far more build cycle effective, able to reliably kill or almost kill units. Two dogs getting on a siege unit tends to result in its death, and two of them engaging a commander can force the commander out of combat. Units that trend towards a high kill efficiency tend to be completely immune to dogs however, with both knights and golems able to bring down entire armies of them, and dispatching of them in a single hit. Mutual Checks: Turtles. Archers. Dogs. Warships. Countered By: Harpy. Everything but Mages if on land. Aquanauts can fight on land, but they are terrible at it. Only really mages fear them, and even then, it’s not too bad. In the water, it’s a different story, and even a river is all it takes to make aquanauts terrifying. Still, the situational nature of it means they do not really serve to check or counter much in the way of land units. Harpies serve as their hard counter as they can easily rush the aquanaut down, and kill it off. Core units are the units you will be relying on to make plays and outmaneuver your foe. They are a reasonable mix between cost-effectiveness and build effectiveness. Durability and speed. When a fight is happening, you will be looking to them to dispatch threats to your tech units, and generally win the battle. Mutual Check: Spearmen. Archer. Trebuchet. Dogs. Checked By: Swordsman. Ballista. Aquanauts. Countered By: Knight. Golem. Commander. Mages are more than just air defense. Their high speed allows them to quickly tackle and dispatch trebuchets and archers if needed. Still, their cost as a core unit and relative ineffectiveness against knights and golems means that they do not do well against the melee powerhouses of the game. Likewise, they do less damage to ballistae, and are outranged by them while being a favored target for them. Checked By: Ballista. Trebuchet. Dogs. Swordsman. Commanders. Archers are generalists supreme. The matchups they lose they don’t lose too hard, and the matchups they win, they don’t win very hard either. They are very squishy, but very cost-effective if they don’t get hit. Archers are a very common build if you don’t have an idea what the enemy is going to do and can guard them, and just as good if you do know, but already have it covered elsewhere. Just make sure to protect them, pretty much every unit either instant kills them or instantly becomes cost effective when hitting them. The range to avoid almost any engagement it doesn’t want, countered by the inability to shoot the vast majority of units in the game gives the Harpoon Ship a very lean but effective profile. Just remember how sluggish they are. If you set one up near the shore, it’s not rare for a trebuchet to move to close range where the harpoon ship simply cannot escape. Knights are the cheapest unit that can really terrify commanders and golems, and are effective vs most of the units in the game. Their extreme mobility gives them a very real edge in combat, and their powerful crit can kill most anything or even lead to golems and commanders being crippled. Still, they are extremely weak to being walled, due to the fact that archers and trebuchets will destroy them if they cannot reach them, and spears can easily crush them as well if the knight goes in. Harpies are horrifying for knights and any engagement involving them should be avoided due to the harpies high damage against them, ability to wall them without any personal risk, and ability to chase them through uneven terrain. Checks: Dragons. Warships. Turtles. Commanders. Spearmen. Countered By: Mages. Witches. Harpoon Ships. Ballistae. Harpies are something of an extremist unit. Either they win hard, or they lose hard. The only exception to this being, as usual, archers. Still, with how fast they can die, you have to consider cost effectiveness when engaging, which they do struggle with. If it can hit them, it’s probably cost effective against them. While not cost effective against them, harpies can easily break up spearmen formations, and cannot be hit by them. They are better defensively than offensively in this regard, and this is best performed if you can effectively punish any units that can strike the harpy. Checks: Archers. Mages. Harpoon Ship. Spearmen. Checked By: Dogs. Knights. Golems. The Ballista struggles in terms of cost effectiveness, needing to fire constantly in order to pay for itself with its low damage. However, its sheer range and solid speed on roads ensures that it can just keep shooting until it does. Its anti-air ability is exceptional as well, though dragons can easily erase it by closing the gap and one shotting it on roads. Ballistas thus, are very much a question of if you can hold until it pays for itself. Worth the price if you can, or are using it to counter air, but not worth it if the enemy is just going to breach your line and take it down. Still, compared to trebuchets, they are cheaper and more universally applicable, earning them a spot in the core roster. Just keep firing. Tech units are a very all or nothing proposition. They are almost universally funds inefficient. You could do what they do cheaper with something else. But they’re the only units that can really scare a commander into fleeing the battlefield on their own merits, and if they are left unchecked, they will rampage. Each tech unit has game ending power, and the ability to bring it to bear quickly. Do not field tech units before you have a working army to back them up and dispatch their counters. Checks: Every land unit not listed. Warships have a lean profile, much like Harpoon Ships, but that should not discount their power. Warships are borderline unassailable by land units, and if they can get into position, can easily slaughter them all. The only reason it is not a counter is due to positional requirements being difficult on many maps. Still, when they can get into position, they will crush armies. Checked By: Swordsman. Knights. Spearmen. Counters: Dogs. Knights. Mages. Archers. Golems are incredibly hard to bring down, able to easily waste many of an opponent’s build cycles in a single purchase. Still, they struggle in terms of cost effectiveness if not properly supported. 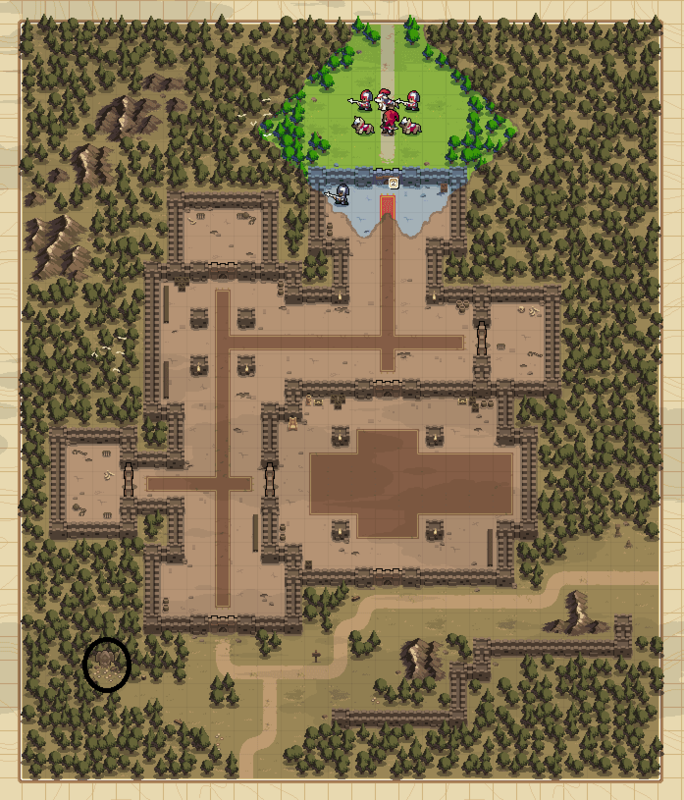 You need to get them into the enemy backline and tear through their archers, mages, and otherwise. When you build a golem, the name of the game is kill count, not funds effectiveness. Feel free to send it into the units that check it, if they are not supported enough or numerous enough to bring it down, its crit will ensure value in doing so. Countered by: Witch. Harpoon Ship. Dragons can incinerate just about anything they can reach, and can reach just about anything at any given time. Still, they are glass cannons, and being the most expensive unit in the game means you need to either score multiple kills, or push up using the momentum they give in order to make them worth using. They can absolutely end the game on the spot if used well, so do not let their dizzying price tag dissuade you. Niche units are units that do very few things for their cost, but focus on doing those things very well. They should only ever be built to shore up an extreme weakness in your army composition or counter an enemy composition, not for general combat. Turtles exist for the purpose of running down warships, or acting as a heavy hitter in aquanaut heavy warfare. They do almost nothing else. Still, they move exceptionally fast and cut down warships very efficiently. Countered By: Ballista. Harpoon Ship. Witches win the skies. They can occasionally get value out of Hex, but their main goal is to win the sky. Unsurprisingly, this means they’re good against very few units, but what they are good against, they utterly devastate. Mutual Check: Knights. Golem. Ballista. Warships. Trebuchets are utterly devastating in terms of damage, but at 900 gold, no move and shoot ability, low durability and having to compete with the ballista, they are a very niche unit. Amazing at dealing with expensive ground from behind a wall, and breaking up spear formations, but just as prone to die to them if not properly guarded. 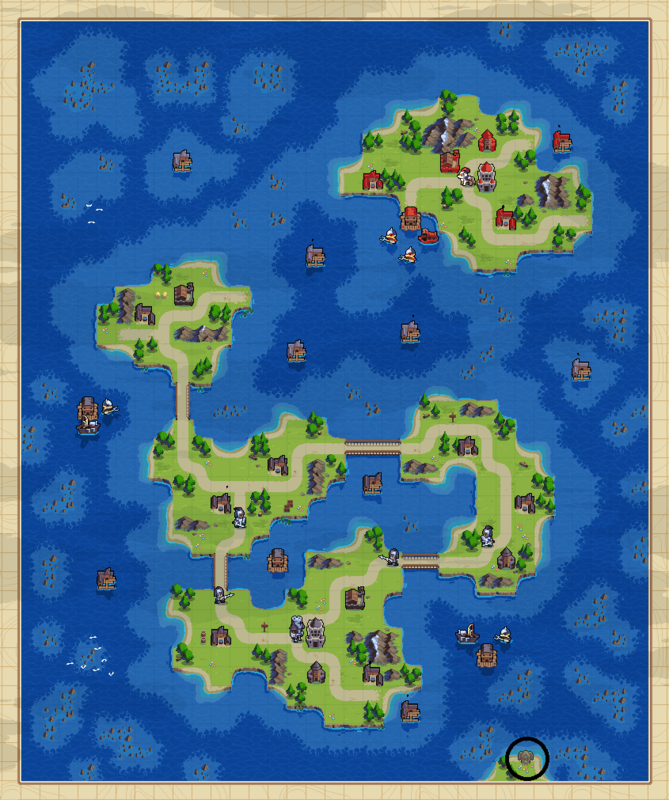 Wargroove is already a high lethality game, walling can be difficult, and trebs need walls.